With software specifically designed for Biological Resource Centres (BRC), biobanks, cohorts and research centres, Modul-Bio has developed a BIMS (Biobank information management system). Thanks to a partnership, Biobanking.com readers are now entitled to a 10% discount of MBioLIMS BioBanking® software license cost! If you are looking for a top-class BIMS for your project, check it out and take advantage of this exclusive offer when ordering. 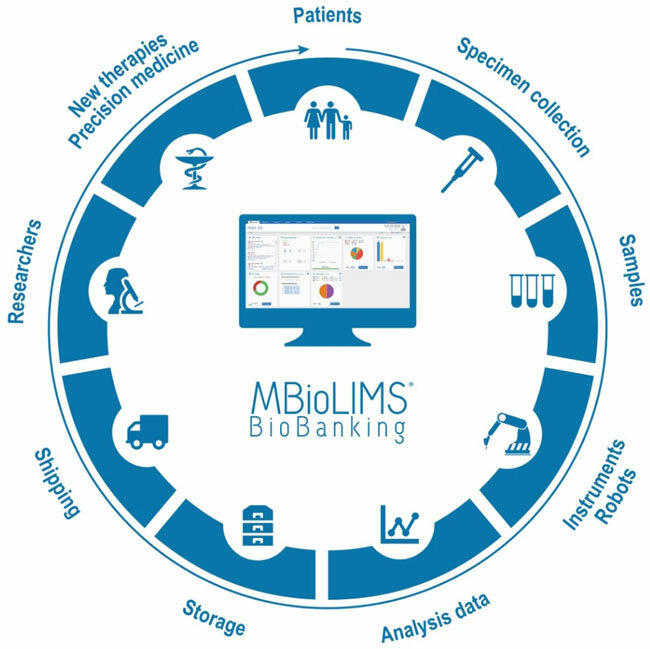 MBioLIMS BioBanking® is a modular solution to track biological samples, data and related statistics. It may be used in a single or multi-site environment and facilitates collaborative working. Whether a new laboratory or project, or an existing one looking to upgrade and maximise sample management and value with a change of system, Modul-Bio can manage your data transfer and laboratory requirements. This highly secured software programme fully manages the sample life cycle while guaranteeing complete traceability of biological samples from collection and receipt through to distribution, via aliquoting, analysis and storage. The whole system is intuitive for end-users, flexible for customization, easily scalable even in a multi-site environment, accepts plug-ins for applications or equipment such as laboratory instruments, robotics or storage, and ensures long term data security. MBioLIMS BioBanking® includes full auditing and sample traceability to facilitate laboratory compliance with biobank and good laboratory regulations.